Considering that the 9m Ultra is nearly 1 kg (2.2 lbs) lighter than the 9m Lithium, you begin to understand how the kite stays in the air way beyond any other inflatable strut kites. 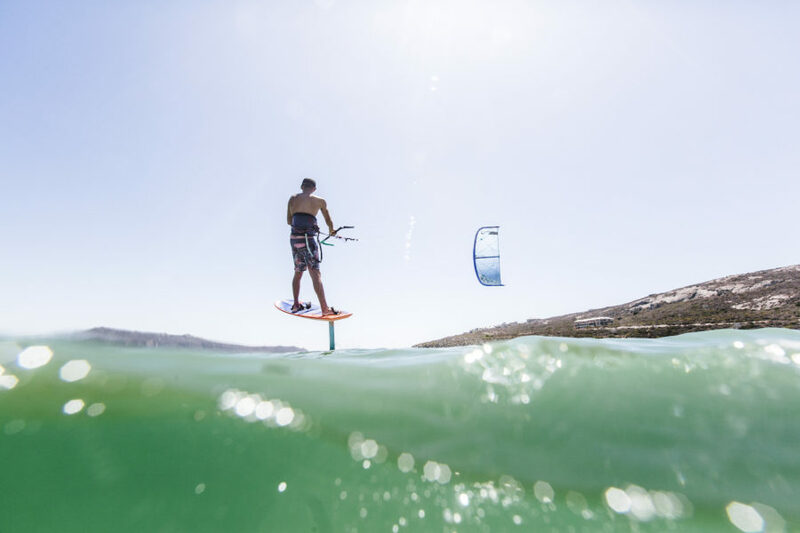 This takes it into the realm of foil kites, without any of the traditional water relaunch and complexity challenges. The Ultra stays in the air in the absolute lightest of wind, ideal for gusty conditions, difficult launches and marginal conditions. 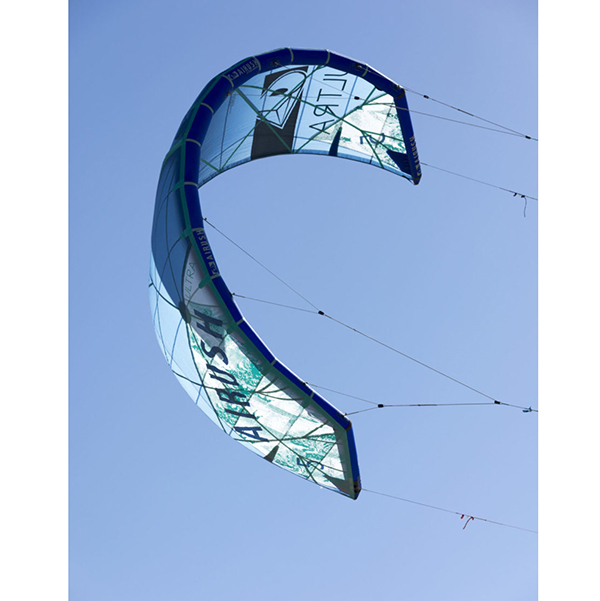 You can ride one size smaller than anything else, giving you a lighter, smaller and even more responsive kite. The kite maintains steering even when far forward in the window and/or underpowered. Relaunching is easier due to the lightweight. 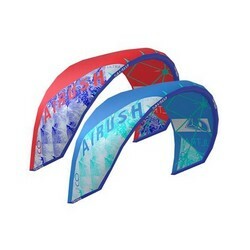 The all-new Airush Dyneema Load Frame featuring WebTech is the key to having the lightest single strut kite on the market and not compromising on durability. By expanding our exclusive Dyneema Load Frame throughout the areas normally occupied by Dacron with Webtech, we are able to eliminate this heavy fabric and utilize the Dyneema web fibers instead – weighing less without compromising strength. We achieve all of these weight savings while still using our legendary TECHNOFORCE D2 by Teijin and Dimension Polyant Leading edge and strut material. Central to the concept of the Load Frame are the lightweight Dyneema yarns, where each single yarn can carry almost 40kg of load. These are integrated into the canopy through a reinforced taping that allows them to elongate when under extreme load, absorbing most of the shock that traditionally would have run through the canopy. At the same time, they carry the primary load of the canopy, preventing stretch and increasing long-term performance. WebTech replaces the traditional Dacron reinforcing by channeling the broader loads into the Load Frame through a web "sub frame" of Dyneema. This is featured in key areas such as the primary attachment points on the leading edge or the rear attachment points, while also being used to support structural components such as the center strut. By staying with a single strut (as opposed to a zero strut design) combined with the higher overall sweep on the leading edge we maintain easy relaunching capabilities in marginal winds. 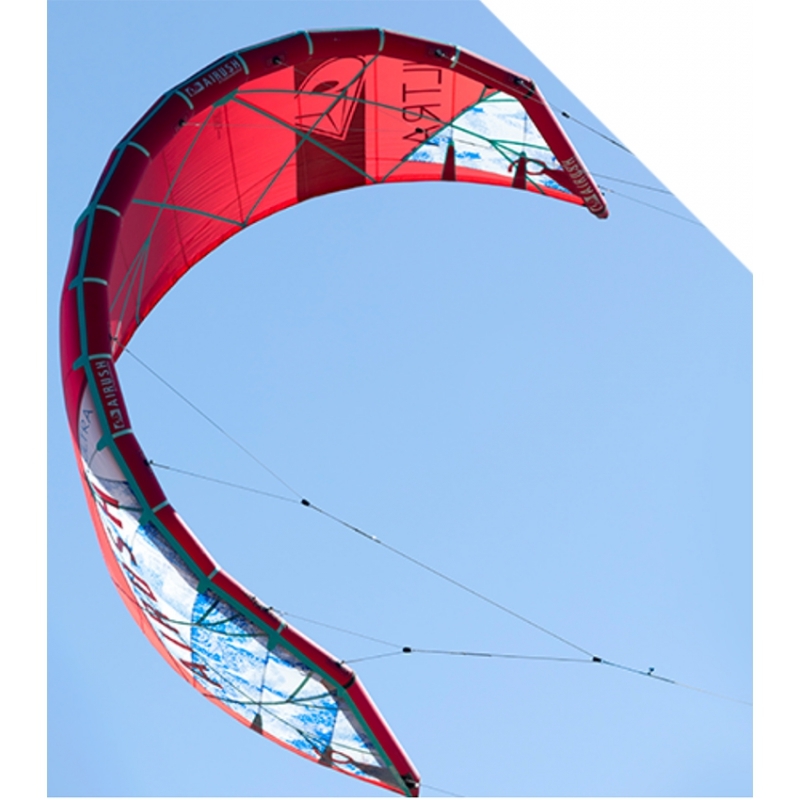 In addition, the square wingtips allow for reverse relaunching for more experienced riders and creates more leverage to get the kite to roll over. Because it’s an inflatable you never have to worry about your kite getting swamped with water no matter how much time it spends in the water.